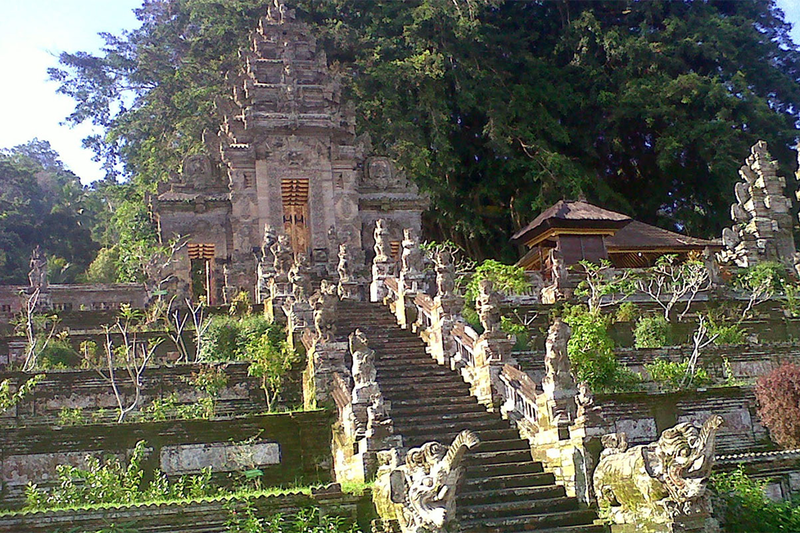 Tirta Empul, Tampaksiring (Follow Jl Raya Tegallalang north for 8 km then slight right through the countryside for 7 km). One of the holiest temples in Bali built around hot springs that still bubble in the central courtyard. 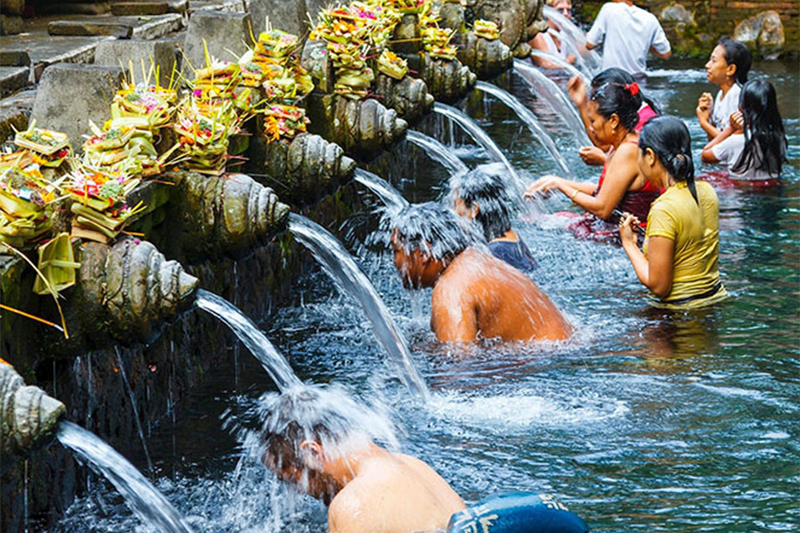 The Balinese come here to bathe and purify themselves physically and spiritually, and during Galungan, the sacred barong masks are bathed here. The complex dates to 960, but the present buildings are largely modern reconstructions. Puri Saren Agung (Royal Palace, Water Palace) (across Jl Raya Ubud from Ubud Market). This was the palace of the kings of Ubud until the 1940s, and some royal descendants live there to this day. 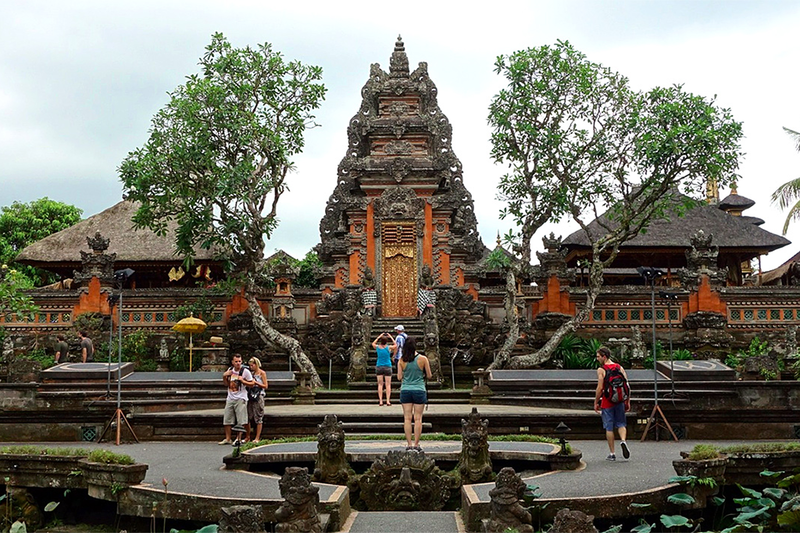 Parts of the complex are off limits to the public, but entry to the rest is free, and this is Ubud's best setting for dance performances (see Do). Pura Kehen (Kehen Temple) Jl Sriwijaya, Bangli (just north of Bangli town centre, which itself is about 30 minutes north east from Ubud). 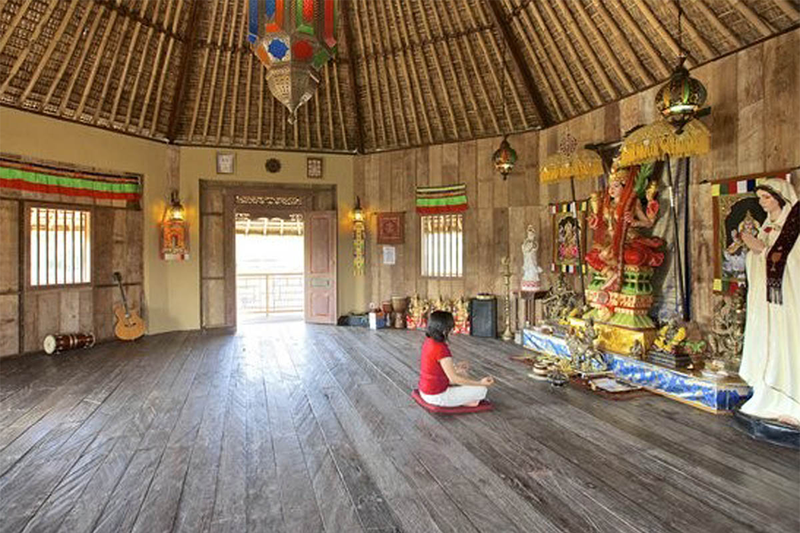 One of the most attractive temples in the whole of Bali, and as it is slightly off the beaten path, one which receives relatively few visitors. The temple was founded in 1206, and has an especially impressive 11-tiered meru in the inner courtyard. When you visit here take a little extra time to look around Bangli. It is a quiet and attractive market town. Gunung Kawi (Poet Mountain), Tampaksiring (18 km northeast from Ubud). Dating from the eleventh century, this is presumed to be the burial complex of King Anak Wungsu and his many wives. Reached by climbing down 371 steps, the location at the bottom of a steep valley lined with paddy fields, is quite stunning. The smaller complex on the south side of the river is presumed to have been built for the King's wives, while the larger complex is thought to have been the residence of the King himself, and perhaps his concubines. The structures are carved into the sides of a steep river valley, and the river crossed by twisting trees and vines. You must take off your shoes before entering into the central pura complex. About 1 km downstream there are further tomb cloisters. On the way back up, take a break at Cafe Kawi which has cold drinks for Rp 10,000 and up. If you haggle for a taxi from Ubud, it should cost no more than Rp 150,000 to get there and back, with the driver waiting for you while you make the visit. 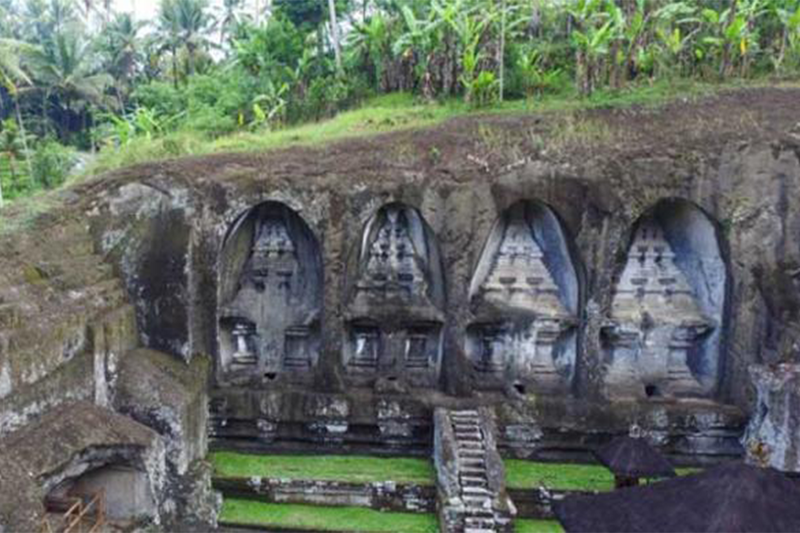 Goa Gajah (Elephant Cave), Jalan Goa Gajah. 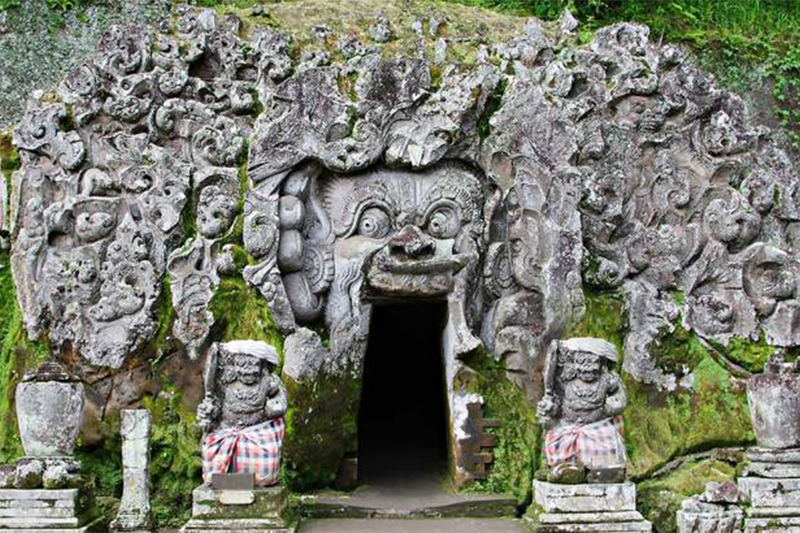 The centerpiece here is a cave dating back to the ninth century, the entrance to which is an ornately carved demon's mouth. Inside are some fragmentary lingam and yoni statues, as well as a statue of Ganesha. Large, carved guards stand around pools near the entrance, and a little path leads to a waterfall, rice fields, and some Buddhist stupa fragments. 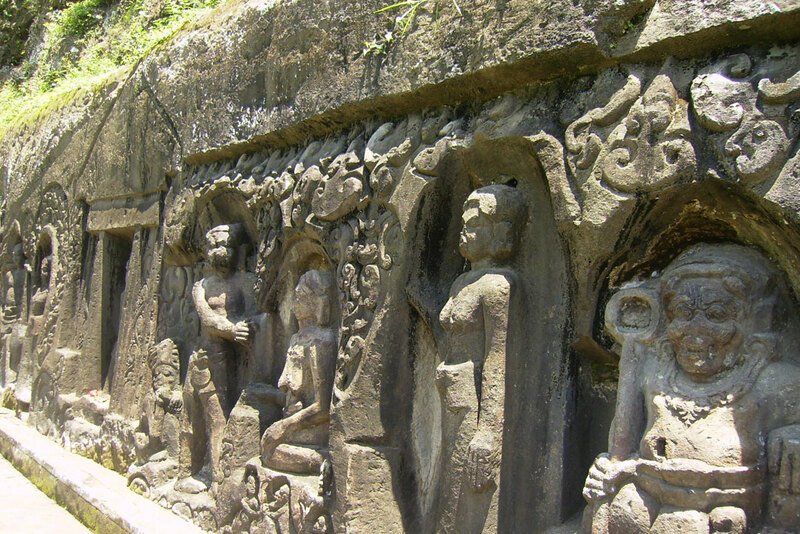 Some parts of the Goa Gajah complex were not excavated until the 1950s. Nominated as a UNESCO World Heritage Site.